The Amerock BP1584FB Inspirations 3in(76mm) CTC Pull is finished in Flat Black. Clean, classic lines in a casual relaxed style, Inspirations is designed to compliment any dicor. Flat Black is a dark, matte Black finish that subdues the highlights of each design. The Amerock BP55275BBR Blackrock 3in(76mm) CTC Pull is finished in Black Bronze. The BlackRock collection offers sleek simplicity with a contemporary indulgence. This eclectic line boasts bold shapes and sizes. Black Bronze is a warm and slightly textured dark finish which nods to the softer side of Black without losing the richness of the Bronze feel. The Amerock BP55275GM Blackrock 3in(76mm) CTC Pull is finished in Gunmetal. The BlackRock collection offers sleek simplicity with a contemporary indulgence. This eclectic line boasts bold shapes and sizes. Elegant and eye-catching, Gunmetal is the perfect alternative for those who love metallic, but prefer a hint of subtlety. Use this finish to enhance the modern ambience of stainless steel and black appliances without overwhelming their natural gravity. The Amerock BP29349AS Candler 3in(76mm) CTC Pull is finished in Antique Silver. The Candler collection is distinctively elegant, with strong lines and soft curves that blend a touch of femininity with enduring class and timeless character. Antique Silver is a sleek and lush finish with deep, rich colors designed to complement traditional, transitional and eclectic styled homes. The Amerock BP29349CBZ Candler 3in(76mm) CTC Pull is finished in Caramel Bronze. The Candler collection is distinctively elegant, with strong lines and soft curves that blend a touch of femininity with enduring class and timeless character. Amerock's Caramel Bronze finish has a rich dark brown hue with a hint of burgundy and subtle copper undertones. Inspirations 3 Inch (76mm) CTC Pull - Flat Black The Amerock BP1584FB Inspirations 3in(76mm) CTC Pull is finished in Flat Black. Clean, classic lines in a casual relaxed style, Inspirations is designed to compliment any dicor. Flat Black is a dark, matte Black finish that subdues the highlights of each design. 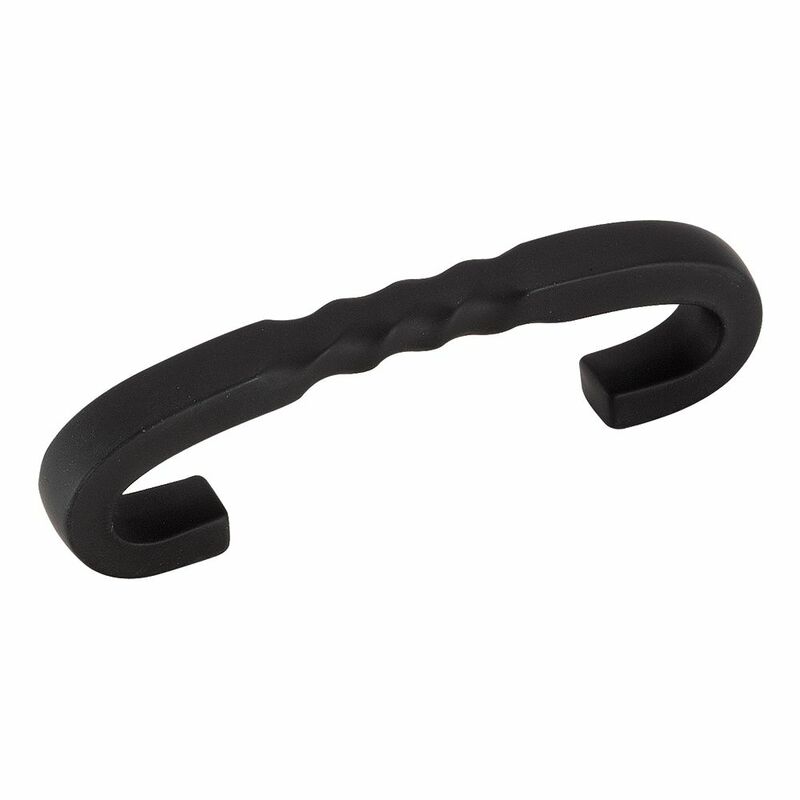 Inspirations 3 Inch (76mm) CTC Pull - Flat Black is rated 4.8 out of 5 by 4. Rated 5 out of 5 by Stormy from I have these already for about 15 years . These are replacements for the worn out ones. I have these already for about 15 years . These are replacements for the worn out ones. Rated 4 out of 5 by Mary from While the pull was of good quality, it did not... While the pull was of good quality, it did not look good on my cabinets and were uncomfortable to use for me. Rated 5 out of 5 by Toby from Better than knobs I liked the cabinet pulls so much, I ordered more and used them where I previously had knobs. Rated 5 out of 5 by BethM from Very Happy! I am very happy with my selection of cabinet door pulls. They look great and match the rest of the hardware in my home perfectly!